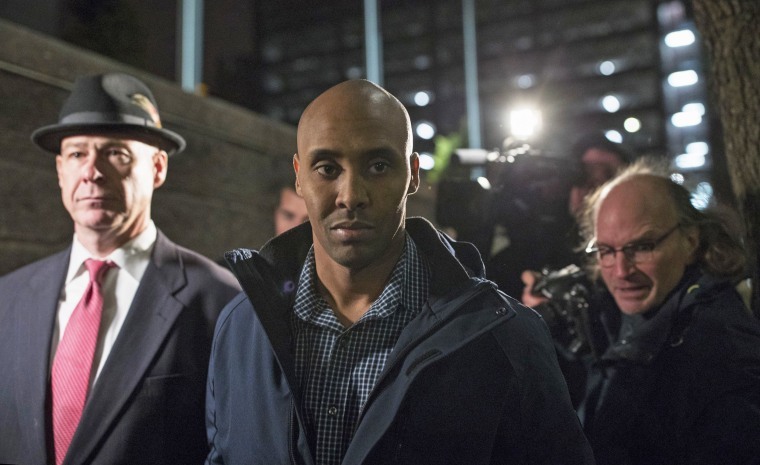 Mohamed Noor's attorneys maintain he acted reasonably July 15, 2017, when he shot Justine Ruszczyk Damond. MINNEAPOLIS — Attorneys head to court Thursday to argue over whether a criminal case should go forward against a former Minneapolis police officer who fatally shot an unarmed Australian woman who had called 911 to report a possible sexual assault in the alley behind her home. Mohamed Noor's attorneys maintain he acted reasonably on July 15, 2017, when he shot Justine Ruszczyk Damond. They've asked the judge to dismiss the charges. But prosecutors say Noor acted recklessly in using deadly force against Damond, a 40-year-old life coach and dual citizen who was engaged to be married. The hearing is mostly about whether the case can proceed to trial. Defense attorneys are asking that the charges be dismissed for a lack of probable cause. They argue that Noor fired in reaction to a perceived threat of danger, not with a "depraved mind, regardless of human life" as required under Minnesota's definition of third-degree murder. They also say he didn't act with the "culpable negligence" needed for a conviction for second-degree manslaughter. Why were officers' bodycams off during Minneapolis shooting?